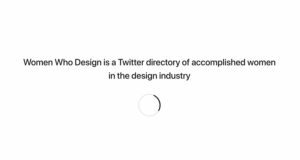 “Women Who Design is a Twitter directory of accomplished women in the design industry.” and the women that are compiled in this impressive list are about as diverse as you can get! Coming from all types of walks of life and an array of expertise. 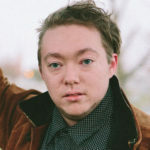 The directory was started by Jules Forrest, who wants to give users access to notable and relevent voices to follow and help women of diverse backgrounds gain a platform. Women Who Design is helping to bridge the gap between people who have tread the same path when partnering with professionals in the design industry. 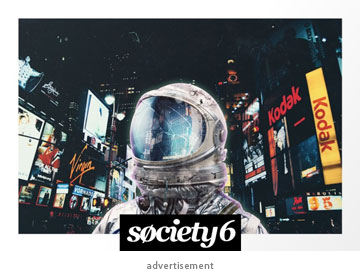 Whether you are looking for graphic designers, writers, directors, or even CEOs you can find a plethora of experienced women that are changing their industry in fascinating ways. 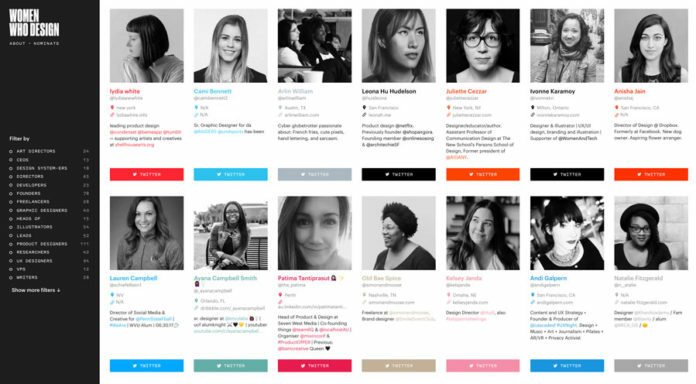 You can easily follow them as they tweet about their work, dreams, and life, because as you scroll through this mega list of designers you will find a preview of each woman’s twitter account. It might put you in mind of flipping through a Rolodex full of business cards like our parents use to have, but it’s a real upgrade. Like everything else in the social media driven world Twitter is growing all the time, getting new accounts daily and there is no way that the people at Women Who Design could possibly keep up with the ever-changing/ expanding database of people, that include women that would be perfect for Women Who Design. To keep the vision alive, Women Who Design has a setup a feature where you can nominate an incredible woman that should be on this list! Women Who Design is just what is needed for this busy world we are living in. The easy to navigate webpage cuts down excuses many can give on the availability of talented women in the industry. They also include filters to help you narrow down to exactly what you are looking for so the next time you are looking for someone to collaborate with on a project you can stop by Women Who Design.